When is the best time to prune common lilac? Common lilac, Syringa vulgaris, is a stunning bush type shrub known for its intense, sweet fragrance and its glorious purple, pink or white spring blooms. A wonderful addition to any garden, common lilac offers excellent shade and privacy as a hedging plant. You’ll find different varieties of lilac which will grow from anything between two to ten metres. Providing you take good care of your common lilac with well-timed pruning, this is a plant that could give you several decades of pleasure. Most lilacs are low-maintenance, but regular pruning is important to maintain a desirable height as well as to enhance the size of the blooms. A common lilac left unpruned can take on a leggy appearance over time with the flowers only appearing at the top of the shrub. 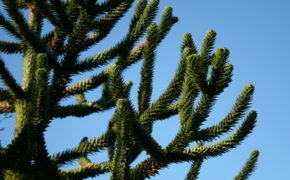 Regular pruning will enhance the overall appearance of the plant and will balance out the blooms. 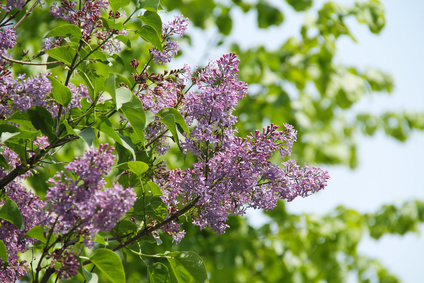 By removing older wood near to ground level once the flowers have faded, this will prevent the lilac setting seed and will help to improve flowering in later years. Do this on a five-year cycle for best results. Common lilac pruning is also carried out for renovation purposes. Where your lilac is grown as a tree, dead-wooding will give it a health-boost and of course make it safer. It will also result in higher and smaller flowers in greater abundance. It is important to be aware that hard pruning of the common lilac could result in a long recovery period where the plant fails to bloom. For this reason it is vital to take great care when you go to prune common lilac. When is the best time for common lilac pruning? Fading flowers should be removed during the last week of May. This will prevent the plant from expending too much energy into making seeds, and will also relieve the stems and branches from the burden of decaying flowers. Pruning with the goal of improving future flowering is best done as soon as the flowers have faded. The common lilac is prone to suckers which can draw vital energy and nutrients away from the plant. Look out for these appearing through the surface of the soil. Lilac trees that are over three years old can safely have these removed as close to the ground as possible. Do this from mid-June onwards. For new lilac trees in their first year, remove all the forming flower buds before they start to bloom. This is usually around the first week of May. It will help the plant to establish a strong root system, which will stand it in good stead for more abundant flower production as it matures. If you are pruning to renovate a common lilac tree or bush, then do so during the winter. This is also the best time to remove dead wood. Scale insects – these are insects that have a limpet-like appearance. They feed by sucking sap which weakens the plant. You may see a sticky substance known as honeydew left behind on the leaves which leads to the growth of sooty, black moulds. You may also see eggs under white waxy fibres in the early part of summer. Borers – wood boring insects are the bane of ornamental trees and shrubs. They are usually the larvae of particular beetles and moths and are known to tunnel and feed under the bark of living wood. Their activity leads to the destruction of sap and water conducting tissue. Borer damage can be alleviated with renewal pruning, i.e. removing the parts of the plant that have been subject to the damage. Flowering will usually resume 1-2 seasons onwards. You should never proceeed with any tree related work without first ascertaining whether a Tree Preservation Order (TPO) is in place. If there is one, you will need to make an application to the local authority for permission to proceed. This will usually take up to eight weeks to be provided. In addition, if the tree is located in a conservation area, you will need official permission before proceeding with works of any kind. We have already mentioned that when it comes time to prune common lilac, correct procedure and timing are vital. If you are in any way uncertain about how to maintain the beauty of your common lilac bush or hedge, you wish to enhance its flowering capabilities, or you want to renovate a lilac that has been left unpruned for some time, if is often best to call in the professionals. Tree surgeons study hard for many years and have the knowledge and experience to prune common lilac just the way it is supposed to be. They are also fully aware of the common diseases these plants can be subject to. When selecting a tree surgeon to take care of your common lilac tree, be sure to check their references and certificates so that you can be certain they actually possess the qualifications and knowledge they claim to have. Wherever possible, choose a tree surgeon with Trading Standards and local authority approval for a guarantee of quality and value. If you have a common lilac that needs pruning or caring for, why not contact the specialists at T.H. Tree Services? As fully qualified, locally respected and extensively experienced Trading Standards and local authority approved tree surgeons, we are well-placed to provide specialised knowledge in all aspects of common lilac pruning. For a free, no-obligation quotation, give us a call on 01268 642814 or get in touch here. 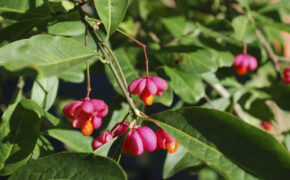 When to Prune a Spindle Tree?